Riddled with doubt and growing suspicions from his partner, Bill, Michael is determined to put an end to the terror — even if it means an end to himself. Chasing Fireflies is the first book in the James Beamer/Michael Callahan Morning Star trilogy. Chasing Fireflies was inspired by a future collaboration that I have with Joe Konrath. Chasing Fireflies is an introduction to my character, James Beamer, who will pair with Konrath’s, iconic Jack Daniels for a few adventures at a later date. Being mainly a horror author, I was inspired to write crime fiction after binging on Joe Konrath’s Jack Daniels series. I needed a strong character to build my series around, so I took my love for crime shows like CSI and Criminal Minds and mixed them with a little Jim Rockford from The Rockford Files and James Beamer was born. Paul Seiple is the author who writes in the horror, paranormal, and crime fiction genres. 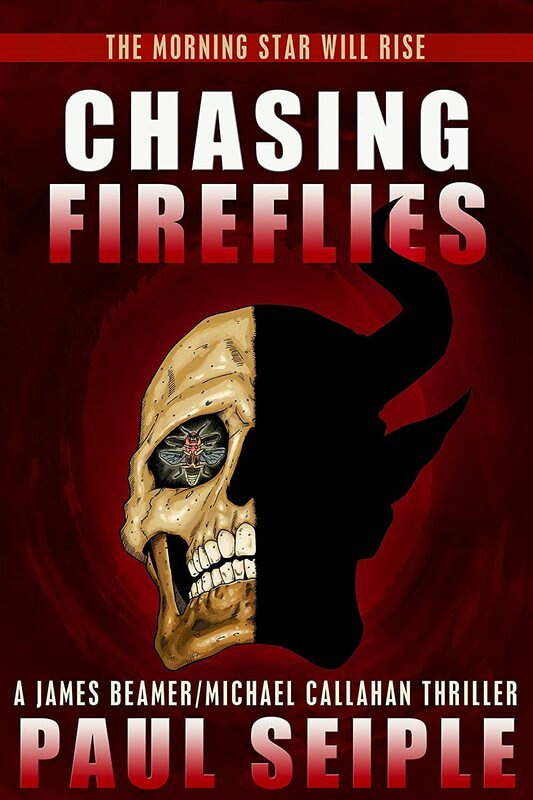 The first book in his James Beamer/Michael Callahan Morning Star trilogy, Chasing Fireflies is now available. The next book, Babylon Sister, will be released in the winter of 2014. Other novels include The Shape of Things to Come and The Dark Stuff and the short story, Lover’s Requiem.